In today’s competitive world Uninterrupted Power Supply is crucial for businesses; to keep their daily operations running smooth, no matter how big or small the organization is the continuous distribution of power throughout the infrastructure is extremely important to save the costs linked with downtime. UPS power backup is traditionally deployed in two ways; one is a centralised system and the other being distributed system. While they serve the same purpose which is to keep your business (equipment) running through blackouts, electricity fluctuations & other power issues, but they do the job in different ways. Both of the ways have their own advantages and disadvantages keeping in mind the ease of installation, reliability, cost & scalability. In terms of installation, you might think that a centralized UPS would be easy to install than various distributed UPS systems. Well, the answer is NO, the reason being if the Centralized UPS is a 3-Phase system, it requires extended expertise in installing it properly and regular maintenance. This might not be the case in adopting the distributed approach. You may use a single phase UPS which is far easier to install and requires little or no maintenance at all. The level of critical load the system is supporting is also an important consideration. Popular belief is that a 3 phase UPS is more reliable than a single phase UPS reason being a longer mean time between failure (MTBF) because it has a built-in redundancy feature. Yet it’s not that simple, at times when you have a problem (Technical fault) with a centralized UPS, it will put all of the loads it is protecting at risk. On the other hand, the distributed approach will only affect the chunk of load it is protecting and the UPS can be easily replaced without agitating the entire operation. 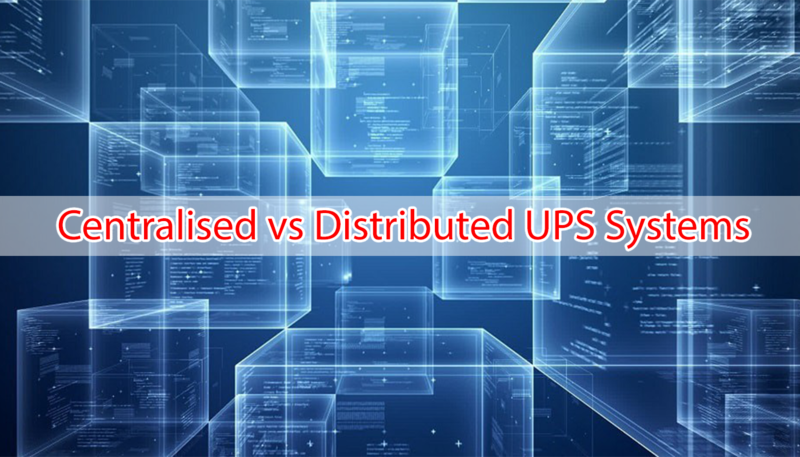 While the initial cost of purchasing a centralized UPS may be less over distributed UPS system, but as mentioned before the complex installation of a centralised UPS will cost much more than a distributed system in general. Keeping in mind changing business needs, at some point in future your power requirements may increase. Adding power backup in a distributed UPS system is easier by simply adding a UPS, whereas in centralized UPS system scalability can be limited and more costly as all of the components are confined to one location. Depending upon the preferences that are important to your organizational needs; be it cost, efficiency, reliability or ease of use and scalability, the decision rests in the hand of technical managers to determine which strategy is best to opt for.